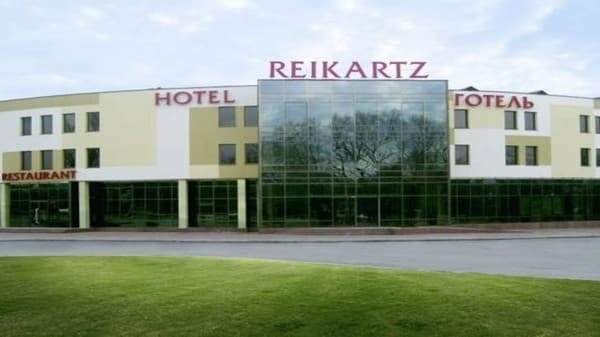 Hotel «Reikartz Zaporizhia" is located in the city center, in a beautiful place on the bank of the Dnieper. It offers comfortable rooms with minibar, safe and free Wi-Fi. 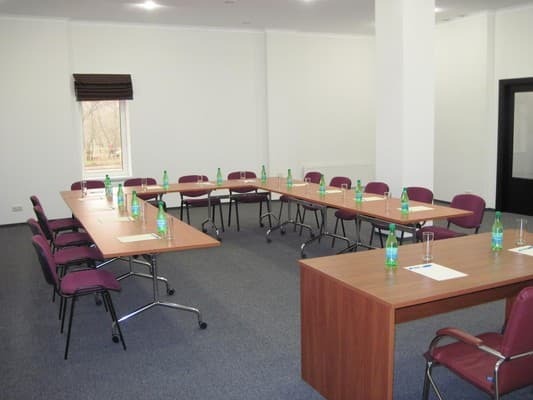 Guests can rent a conference hall with 80 seats and a meeting room for 10 people. In summer, guests can swim in the outdoor pool and sunbathing on the sun loungers. The hotel has a restaurant serving European and traditional cuisine, grill - bar and equipped summer playground. The distance to the island Khortytsya is 6 km. to the railway station - 10 km, 19 km to the airport. Description of the room: Single room. The area of ​​the room is 17 sq.m. Description of the room: One room with 1 double bed (1600 * 2000) or 2 single beds (900 * 2000). The room area is 17-22 sq.m. Description of the room: One room with 2 single beds (900 * 2000). The area of ​​the room is 26-30 sq.m. 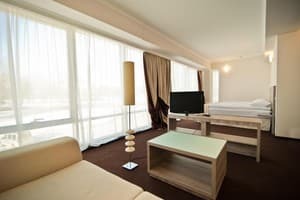 Description of the room: Panoramic studio with 2 single beds (900 * 2000). Area of ​​the room is 45sq.m. The price includes breakfast. Guests can enjoy meals in the restaurant with European and traditional cuisine. The restaurant has a small summer terrace. The hotel also has a grill bar. 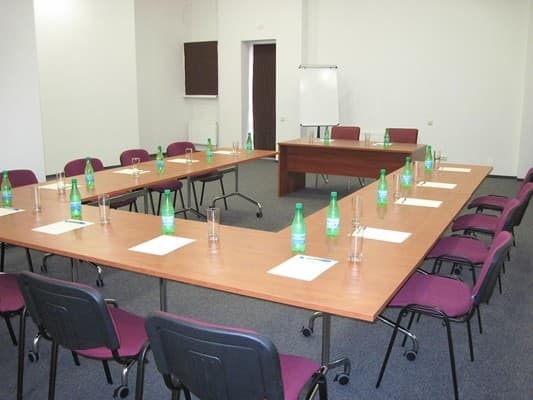 Hotel «Reikartz Zaporozhye» is located in the city center, on the banks of the Dnieper. 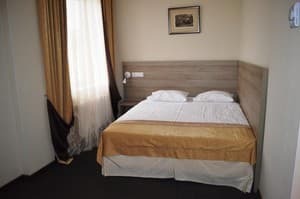 Hotel «Reikartz Zaporozhye» is located 6 km from the island of Khortitsa, 10 km from the railway station, 19 km from the airport. From the railway station by public transport towards the center.